Move the front seat to the full forward and full up position. Disable the SIR. Refer to SIR Disabling and Enabling. For pretensioner handling and scrapping. Refer to Pretensioner Handling and Scrapping. 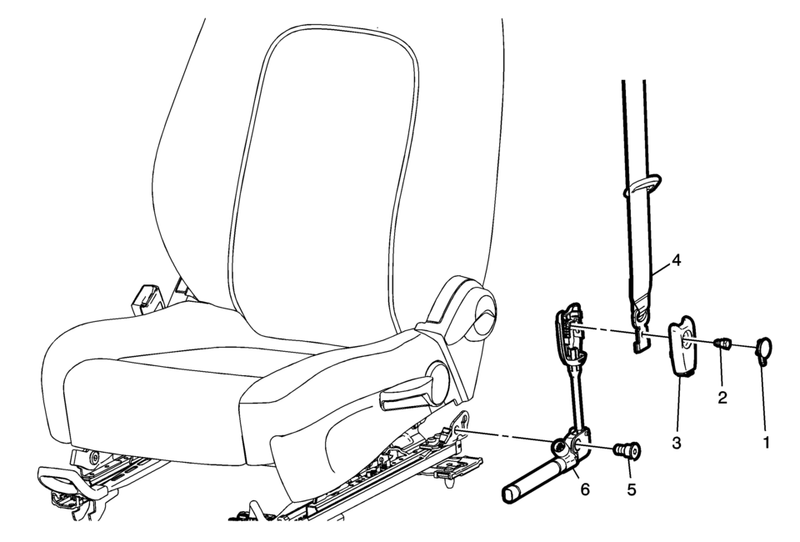 Remove the seat belt with latch from front seat belt tensioner.